When specialty-coffee professionals say, “You gotta try this decaf,” you know you should either worry about them (“Decaf?? Are you…feeling ok?”) or maybe—just maybe—you should listen and give it a try. Well we’ve been saying you gotta try our E.A. decafs for a while now, and you don’t need to worry about us at all: They really are that good. Like, 86 or 87 points good. Like sweet and tart fruit, lemon, apple, berry, and caramel flavors good. 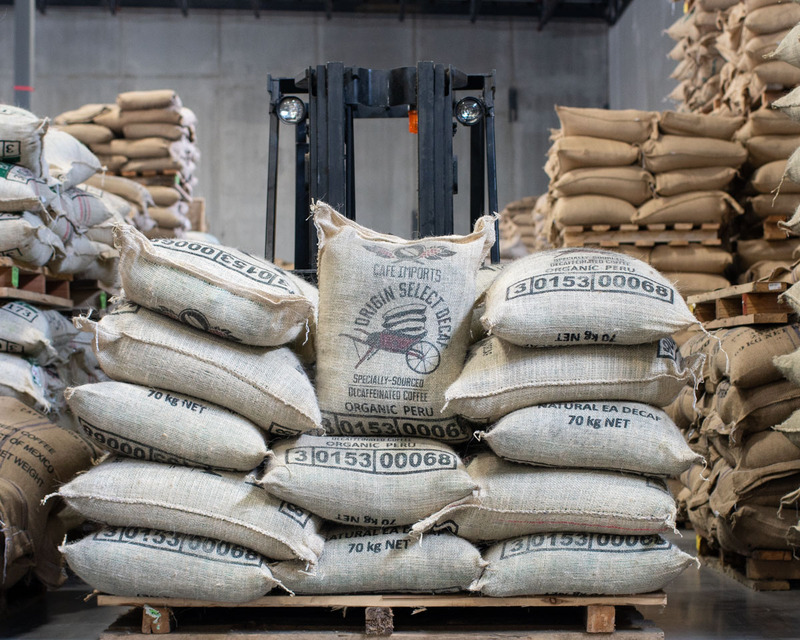 Well, we’ve got big news for decaf lovers and we don’t want you to sleep on it: While we’ve previously focused on Colombian coffees for this decaf process, we’re thrilled to now offer E.A. decafs from other regions as well! E.A., short for “ethyl acetate,” is a naturally derived ester that is found in fruit like bananas, and is a by-product of fermented sugar. It can be isolated and used as a solvent to bond with caffeine molecules in green coffee as a means of removing them without causing trauma to the seed structure or damaging the integrity of the coffee’s flavor. It’s a safe, effective, and special way to handle these coffees to achieve the best possible outcome: decaf you actually want to drink. Over the past few years, Cafe Imports has partnered with a decaffeination lab in Colombia for our E.A. decafs, which are sourced at origin and sent for contracted decaffeination. The overwhelmingly positive response we’ve received about our Colombian E.A.s (for instance, “No way that’s a decaf,” and, “This is the best decaf coffee I’ve ever had!”) has inspired us to expand the program to other coffees, and we’ve just received our very first organic-certified E.A. 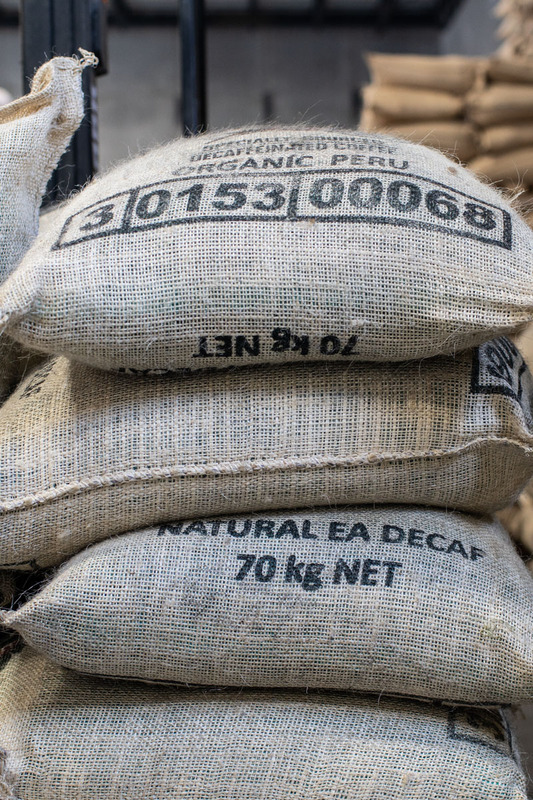 decaf from Lima Coffees in Cajamarca, Peru—possibly the first non-Colombian E.A. decaf in the world! This beautiful coffee maintains its profile of sweet and tart fruit acidity and a balance of chocolate with banana and graham flavors. Next on the docket is a Brazilian offering from South Minas Gerais, which will arrive in our U.S. warehouse later this spring. If you’re looking for a coffee that will cause hearts to flutter for a reason other than being overcaffeinated, take a look at our selection of E.A. decafs and fall in love for yourself.